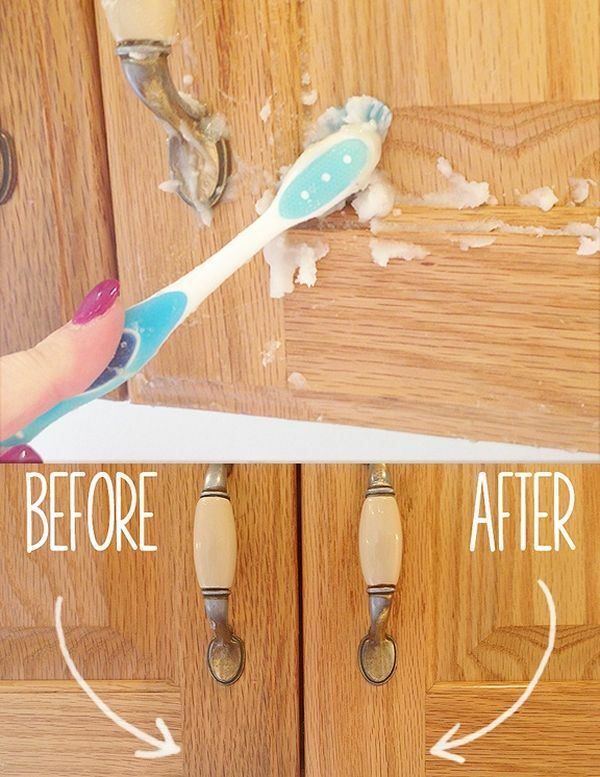 Kitchen cabinets accumulate gunk and it?s not a pretty sight but you can fix the problem with this homemade gunk remover. Mix one part vegetable oil and 2 parts baking soda and use a sponge or a cloth to clean the cabinets. Lego pieces, especially small ones can get very icky and if you want to clean them one by one it would take forever. So put them all in a laundry bag and into the washing machine. Add some soap and then simply take them out and let them dry. 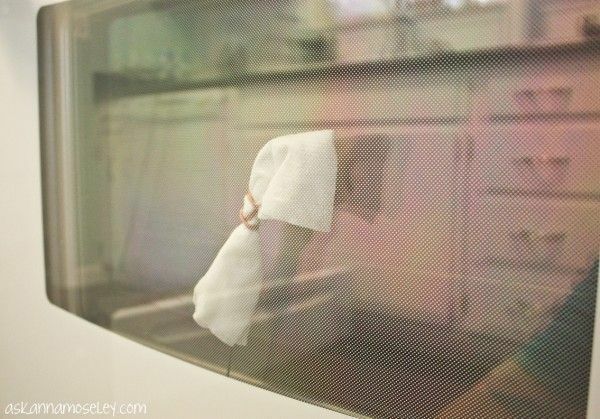 Cleaning the oven can be very painful and the most annoying part is that the window glass always seems to be dirty. That?s because you have to clean in between too. Remove the drawer from below the oven, get a wire hanger and straighten it ? attach a clean wipe to the hook at the end of the hanger and use a rubber band to secure the wipe. Stick the cleaning contraption through the slats and push it up between the oven window glass ? cleaning from side to side. 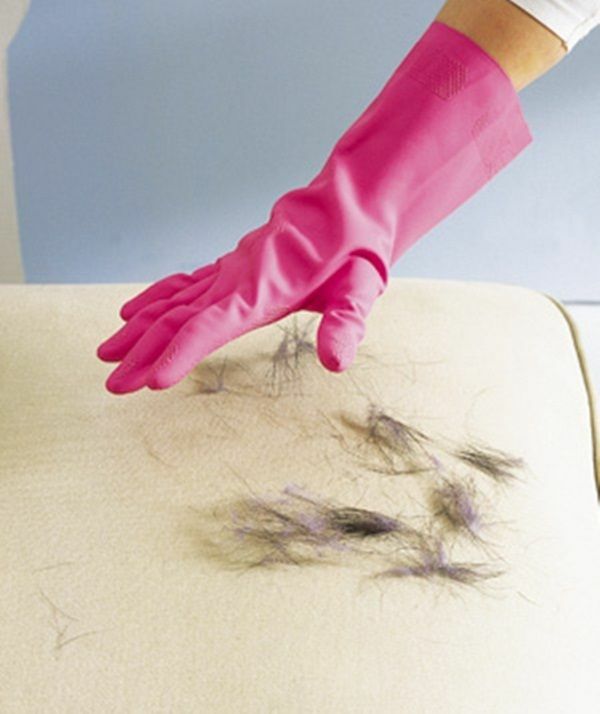 If you have a cat or a dog then I?m sure you?re at war with all the hair then leave around the house. But it?s not that difficult to remove all that hair. All you need is a pair of rubber gloves. Run your hand over the upholstery and the hair with cling to the glove. 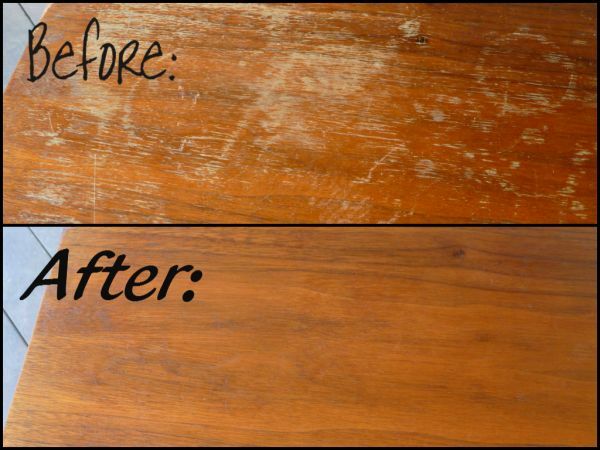 If you have an old wooden table with the top all scratched and ugly, don?t throw it out because it can still be saved. Mix ½ cup of vinegar with ½ cup of olive oil, dip a cloth in the mixture and rub it onto the wood. The scratches completely disappear and the wood looks like new. The nasty built up you often see on and around the faucets and in some other areas is definitely not something you want to have in your home. But you can easily remove it with vinegar. If it?s a flat surface, pour some vinegar and let it sit for about 20 minutes. For the faucet, you can use paper towels soaked in vinegar. 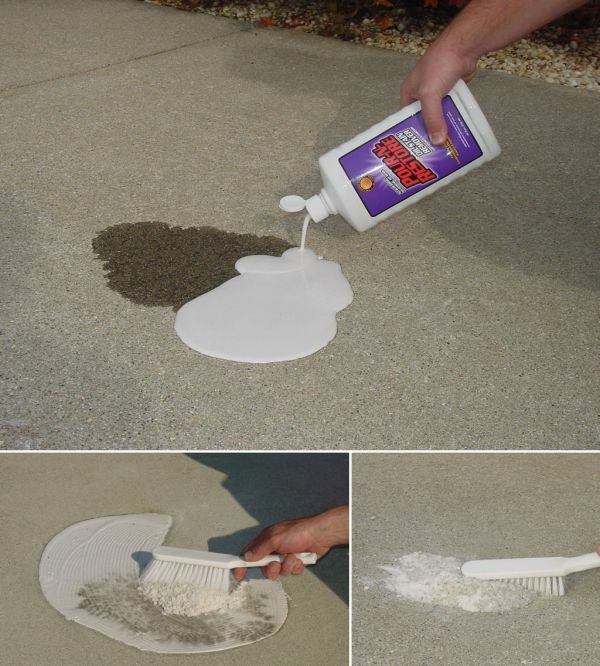 Having oil stains on your driveway is not pretty but removing them is not easy either, unless you use Pour-N-Restore. It?s a solution which dries into a powder and absorbs all the oil and pulls up embedded stains. If you have white heat marks on your furniture then, to remove them, you?ll have to use more heat and moisture. Take several layers of cloth and spray them with water. 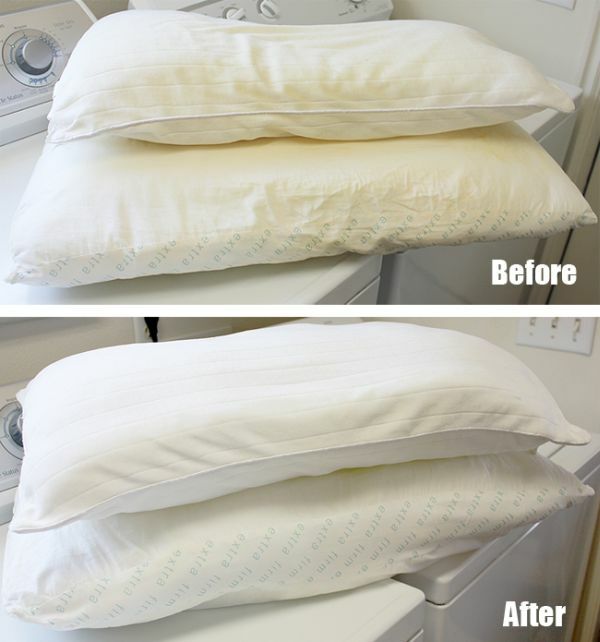 Put them over the stain and then iron over for about 15 seconds. 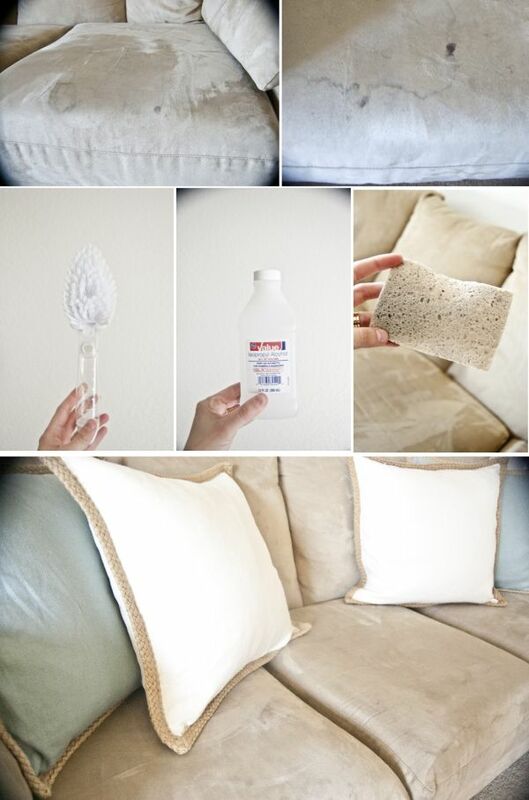 To clean a microfiber couch you need a white sponge so there is no colour-transfer and rubbing alcohol. Spray alcohol on the stained area and scrub with the sponge. Let the area dry. Then take a bristle brush and re-fluff the area. Getting ready for a barbeque? Don?t forget the onion. 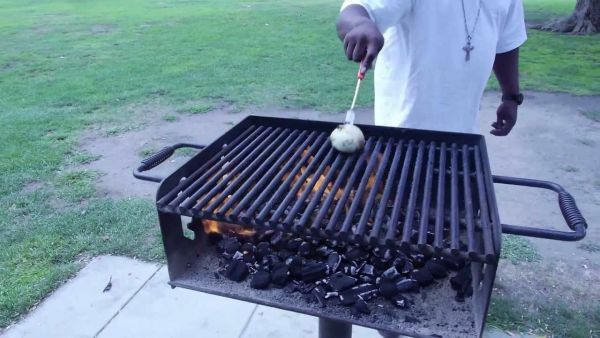 That?s right, you need an onion if you want to make your grill non-stick. Just cut the onion in half and rub the cut side on the heated grill grate. 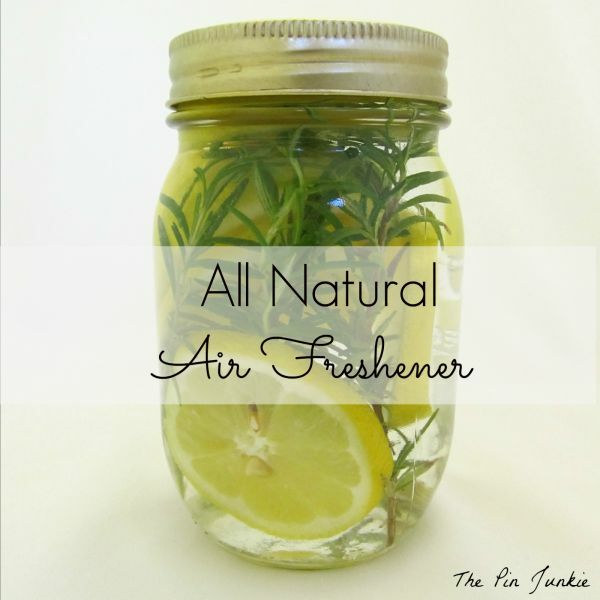 Instead of using all sorts of cleaning products which may or may not be toxic, try instead a more natural approach. 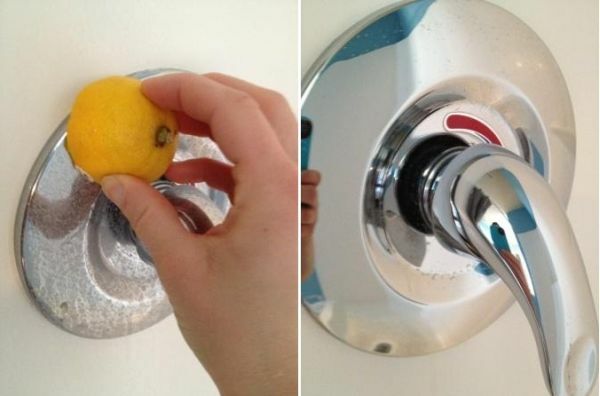 For example, you can clean the bathroom faucet with lemon. 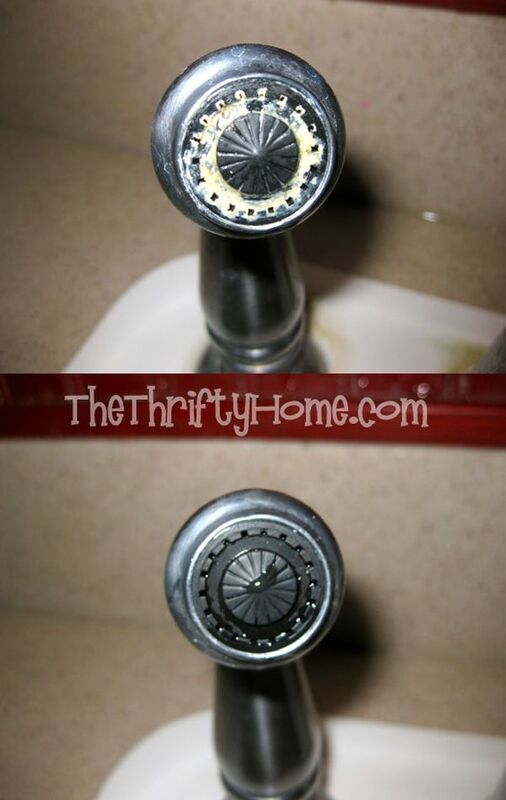 Cut a lemon in half and scrub the hard water stains on any fixture. Make your shower head look like new again using distilled white vinegar and a plastic bag. Pour vinegar in the bag and secure it to the shower head. 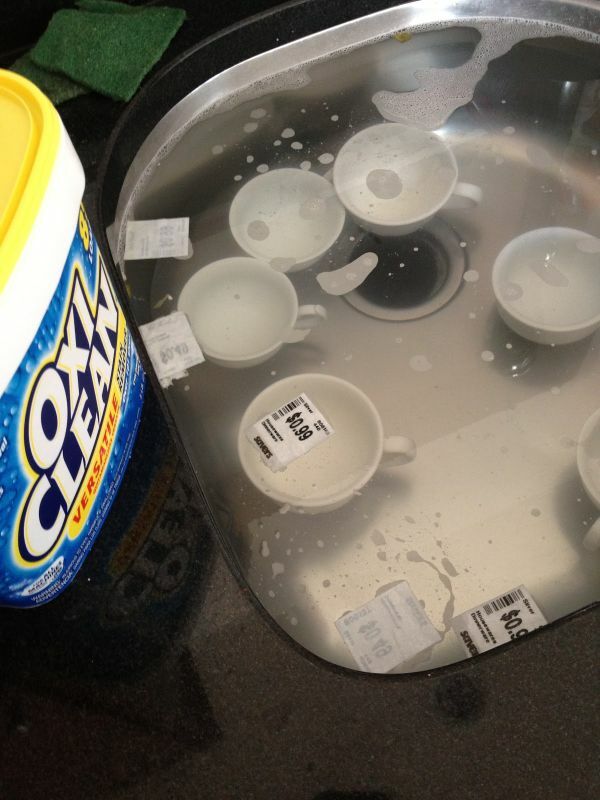 Let it soak with an hour and wipe clean with a wet towel. All you have to do to make sure you have clean windows with no streaks is use water, vinegar and dish soap. Mix these three ingredients and your windows will be sparkly clean. Also, remember to use newspaper. Spray the windows with the mixture, use a white cloth to wash them and then dry them up a waded up newspaper. If you ignore them, the stove burners and the grates can end up looking disgusting and nobody wants that in their kitchen. So what can you do? It?s simple actually. Clean the stove with ammonia. Take ¼ cup of ammonia and seal it up with one of the burners in a plastic bag. Let it sit overnight and then it should wipe clean with a sponge. Make your own cleaner for the kitchen sink using the following ingredients: liquid dish washing soap, distilled white vinegar, baking soda, rock salt, lemon or lime and ice. You?ll also need an old rag, a toothbrush and a soft sponge. Rinse off the sink and sprinkle baking soda onto the surface. Make a paste and rinse. Scrub the rim with a toothbrush soaked in baking soda paste or soap. Then line the entire sink with paper towels soaked in white vinegar and let it sit for 20 minutes. 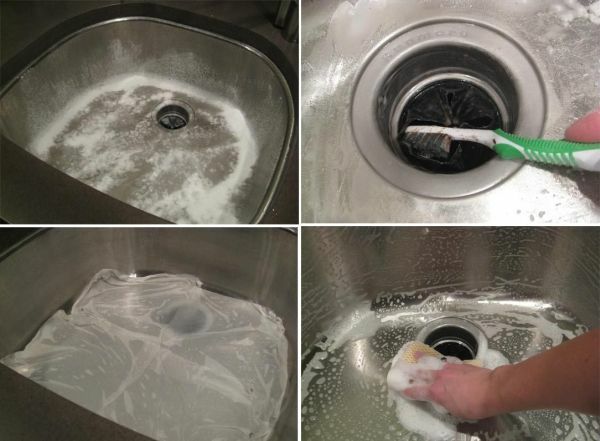 Saturate a sponge with soap water and clean and sink. Fill the drain with 2 cups of ice and pour a cup of rock salt over the cubes. Run the cold water and turn on the garbage disposal until the ice is gone. Then cut a lemon in half and add to the disposal. You?ve probably noticed that wood cutting boards retain dirt so here?s how you can clean them. 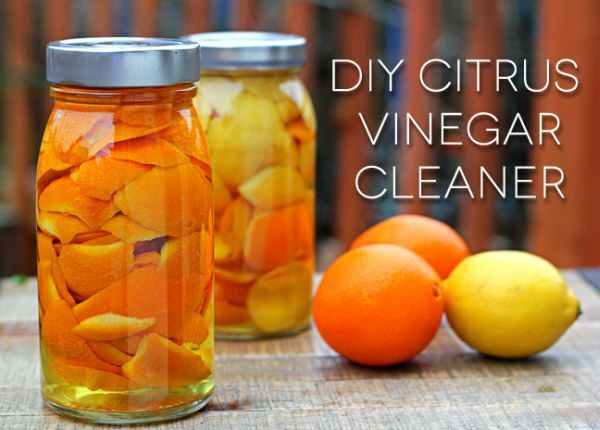 You need 2 tablespoons of white vinegar, 1 cup of water, ½ lemon, sea salt, mineral oil or board oil and a towel. 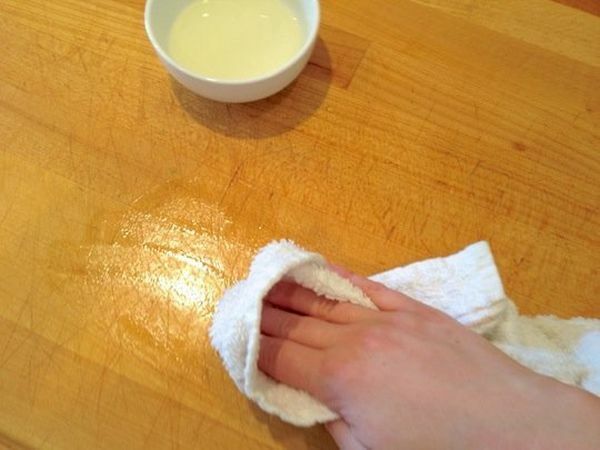 Wipe down the cutting board with a mix of vinegar and water. Cut a lemon in half, dip it in sea salt and scrub. Wipe with water. Then dip the towel into mineral oil and massage it into the wood. 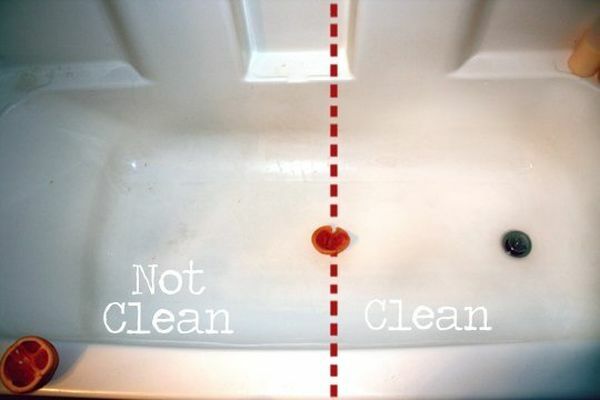 If you prefer to use natural or homemade cleaners, here?s one you can use for the bathtub. All you need is a grapefruit and ¼ cup of kosher salt. Cut the grapefruit in half, sprinkle with salt, wet the tub and sprinkle the remaining salt around the bottom. Scrub the grapefruit around the shower or tub. Rinse with water. 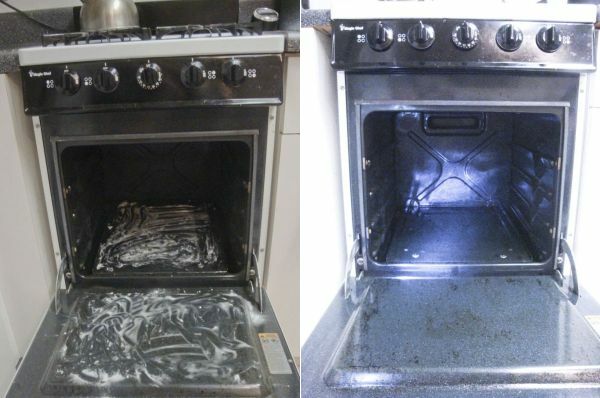 To clean the oven, you can mix baking soda and vinegar. You also need a bowl and a spatula. Scrape the debris with the spatula. Sprinkle baking soda all over the floor of the oven. Then spray vinegar over the baking soda and spread the paste around. Let it sit for 10-20 minutes. Scrub in a circular motion. Cleaning the blinds doesn?t have to be painful. 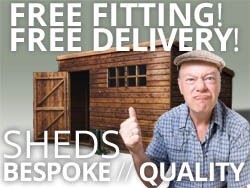 There?s a simple way to do it. Mix equal parts vinegar and warm water in a bowl. 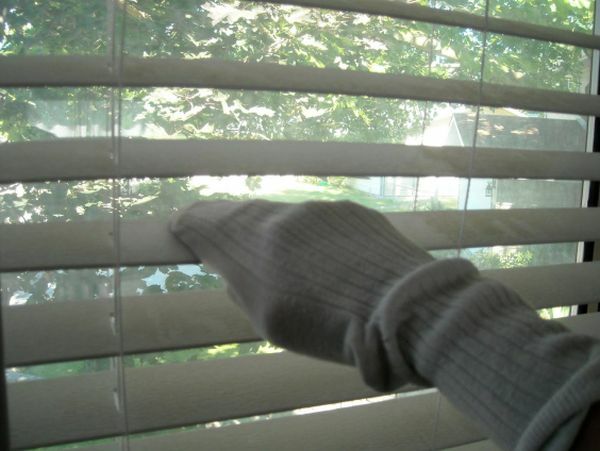 Slip an old sock on your hand and wipe the blinds clean. If you have a kid who just discovered the magic of permanent markers, then you?ll most likely find works of art on the floor and furniture. Don?t worry, it can be removed. 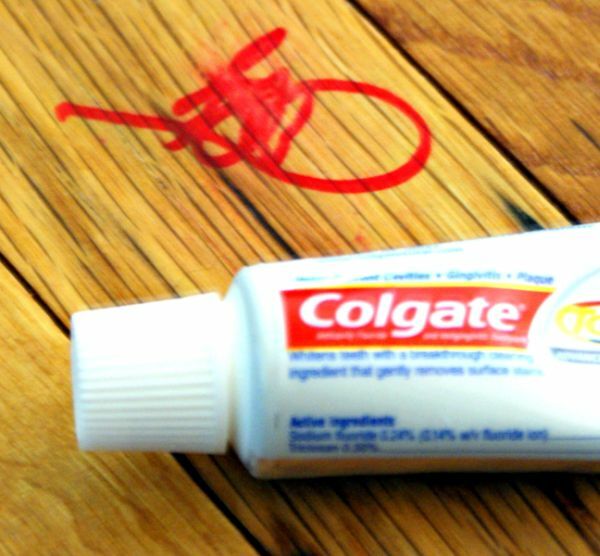 First put a dab of white toothpaste on the marker and rub with a damp cloth or paper towel. 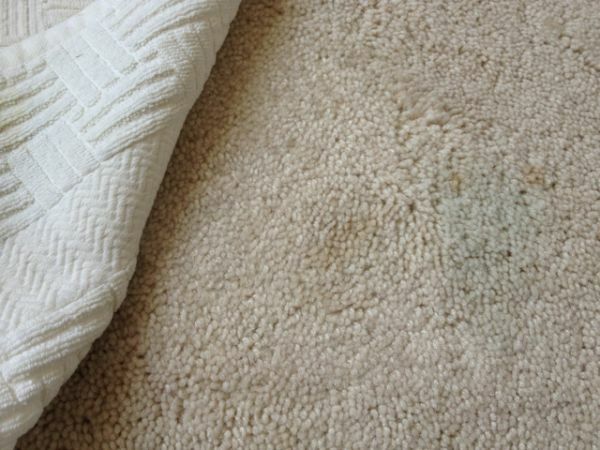 Some stains just won?t come off the carpet, no matter what type of cleaner you use. But there?s a solution for that. Spray window cleaner over the stain, put a cloth or towel over it and iron. Repeat until the stain comes off. Both salt and baking soda are commonly used in homemade cleaning products. But why not mix them? 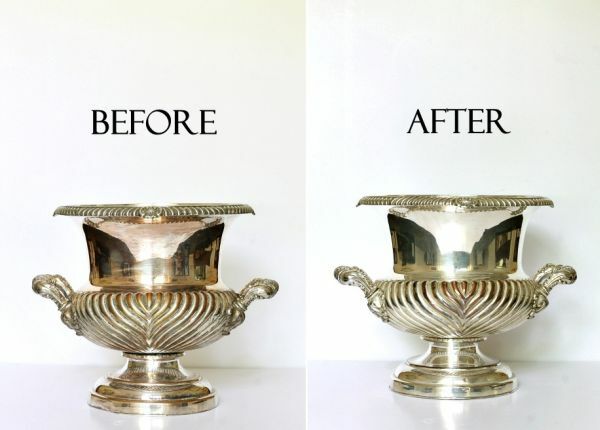 If you do that you get a very nice cleaner which you can use on silver. Combine equal amounts of salt and baking soda. Kitchen sponges allow germs to pile up so it?s a nice idea to get rid of them. It?s very easy. 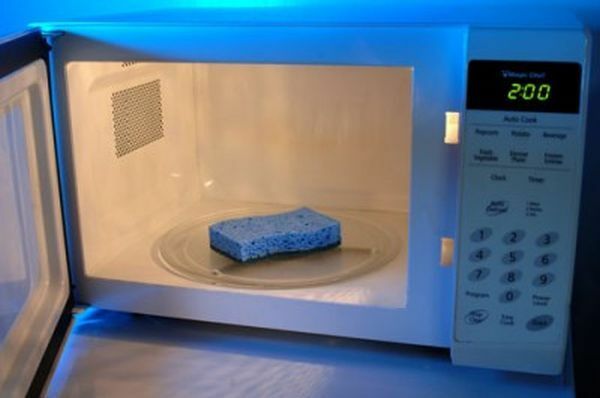 Just the sponge in the microwave for 5 minutes. It will kill almost all the germs. 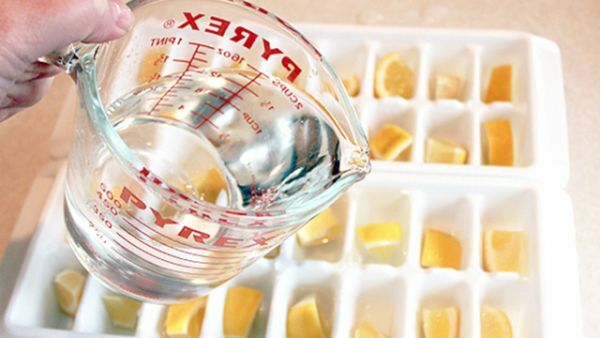 Here?s now you can naturally clean your garbage disposal: you need 3-4 fresh lemons and a bottle of white vinegar. Roll each lemon and then slice it into small chunks. Put the pieces into the separate holes of the ice cube tray. Fill the tray with white vinegar. Freeze the cubes. Drop 1 cube in the disposal every night. 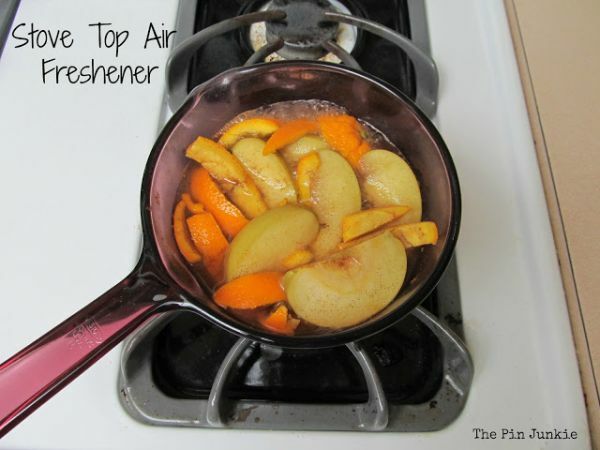 If you prefer natural smells, then make your own air freshener. You can use lemon, vanilla and rosemary. 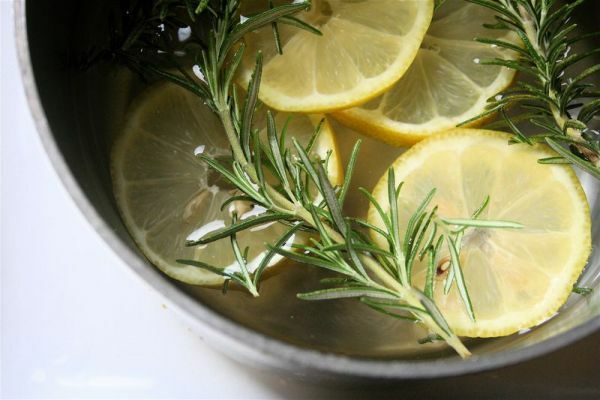 Mix two cups of water, a teaspoon of vanilla, a sliced lemon and 2 sprigs of rosemary in a pan and simmer. Here?s another nice recipe. You need apples, an orange, a lemon, cranberries, cinnamon sticks, whole cloves and vanilla extract. Put everything in a saucepan and add some water. Bring to a boil, then reduce the heat and simmer. For this recipe you need a small stockpot in which you put water, a lemon and a few sprigs of rosemary. Add 1-2 teaspoons of vanilla and let the mix simmer all day long.